Hummus recipes are as common as ants at a picnic. That is, recipes for making hummus. But that’s not what this post is about. Today, we’re using prepared hummus to prepare delicious meals, from breakfast through dinner! I’ve gathered up 20 of the best hummus recipes I could find, and I’m going to share all of them with you. If you’re a lover of hummus, you’re in the right place, because these are the best hummus recipes around! Slowly but surely, spring is appearing in most parts of the US. The warmer days are gracing our lives and the sun is out to greet us up until around 7:30 pm here in New England. How did we ever survive those awful winter days, when the sun would set at 3:15 pm!? Well, one thing is for certain: we all want to be outside more. No more slaving over a hot stove, making stews and casseroles. 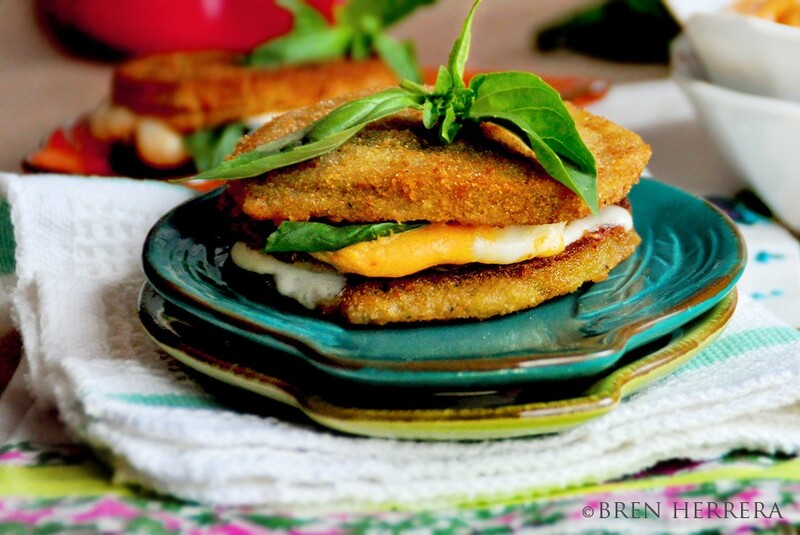 Spring is more about quick, flavorful meals we can whip up on our way out to a picnic! And what better ingredient to help you whip up quick meals than hummus? Here are the 20 best hummus recipes for you! This Mediterranean Salad with Hummus-Mint Dressing is packed with fresh vegetables and a minty dressing that’s perfect for spring! These “carrot patches” would be a great idea for kids! Heck, even I want a cute carrot patch to snack on! 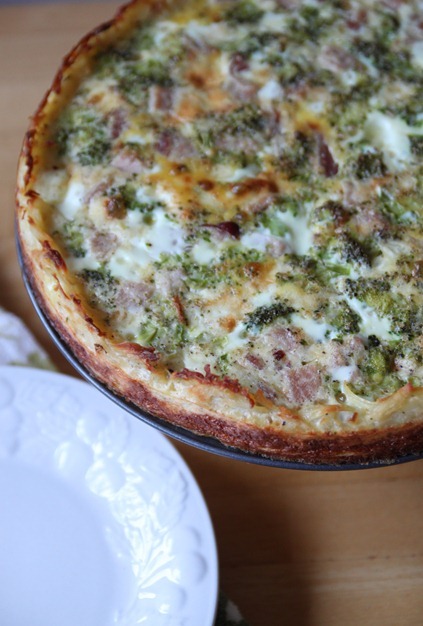 This quiche includes hummus and feta, two well-known Mediterranean ingredients that pack a ton of flavor, without the added fat! 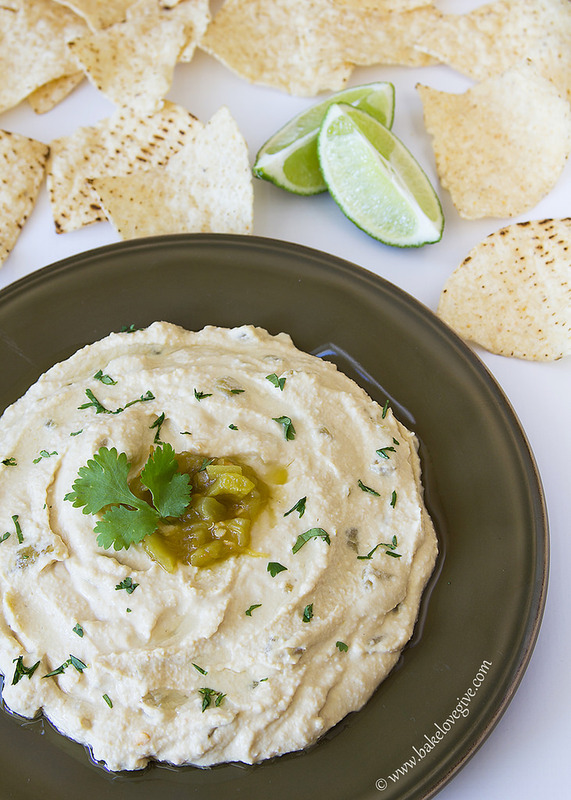 This is a fun way to spice up the classic hummus, making it a green chile lime hummus! This hummus with spiced lamb looks like a great party appetizer or main dish – serve alongside warm pita bread and a salad of fresh greens for a complete meal. This Avocado, Tomato, and Basil Pesto Hummus Pasta Salad is the perfect pasta salad for picnics and spring outings! 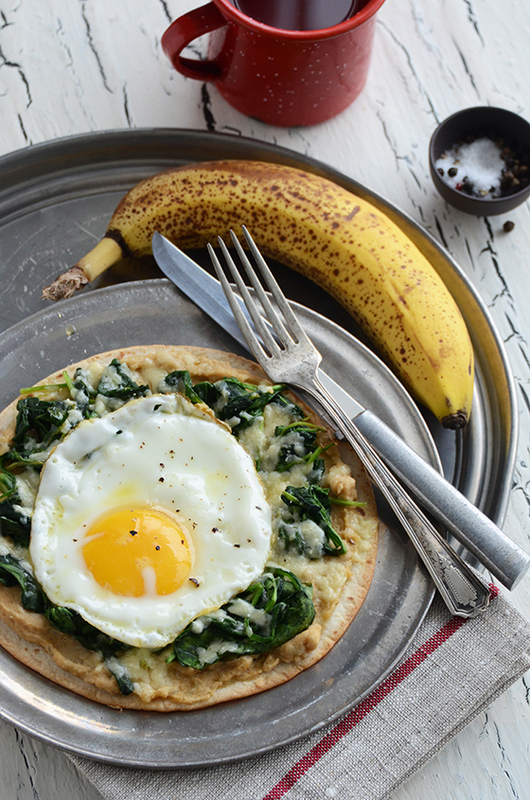 Start your day with this breakfast tostada, I’m loving the hummus and spinach combination! 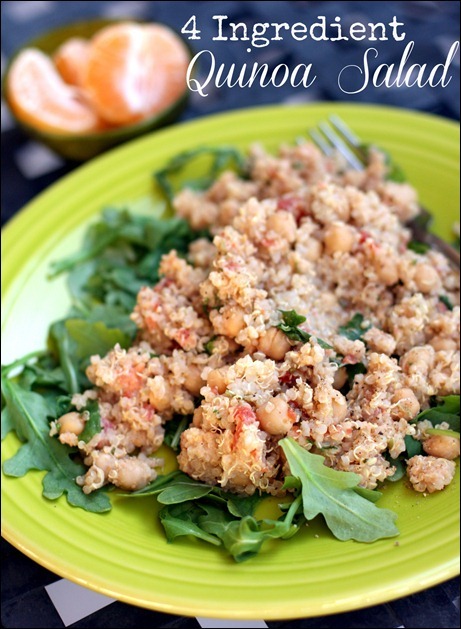 This 4 Ingredient Quinoa Salad, as the title suggests, is a quick and flavorful salad. I’d make a double batch of this! 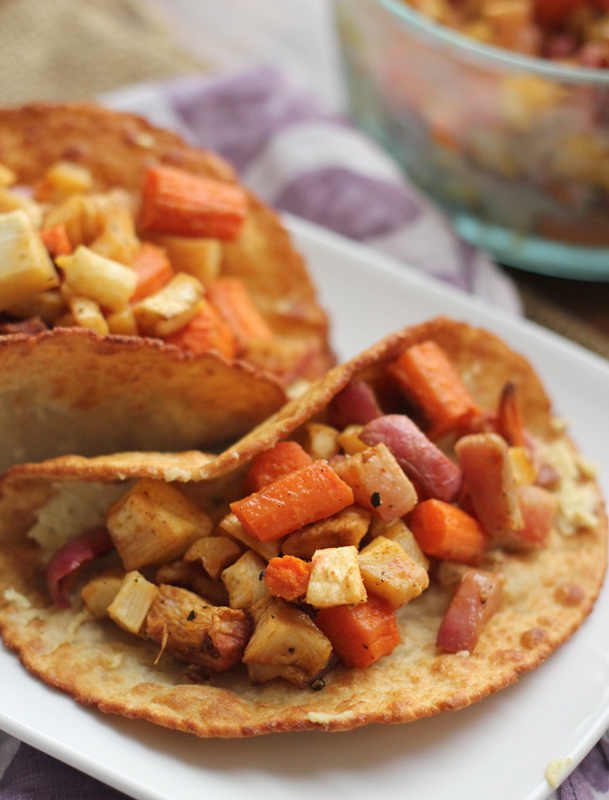 These puffy tacos with cumin spiced hummus would make a great Meatless Monday dinner! 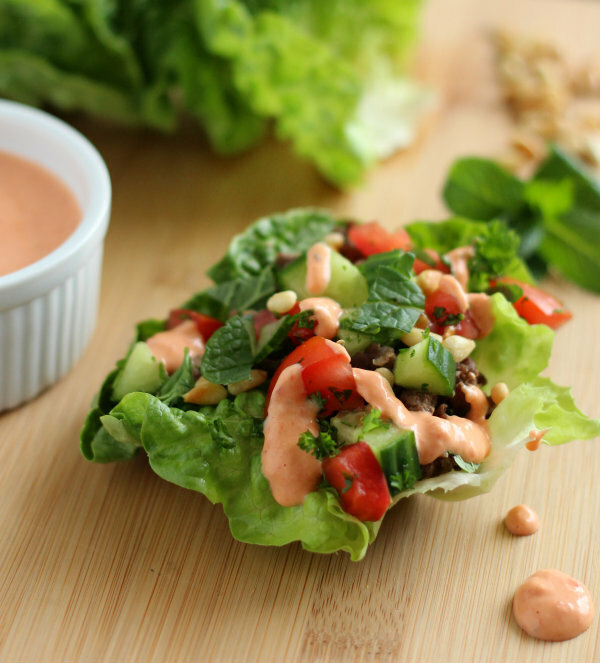 Try this Asian Style Pork & Hummus Wrap as a quick lunch with a side salad! 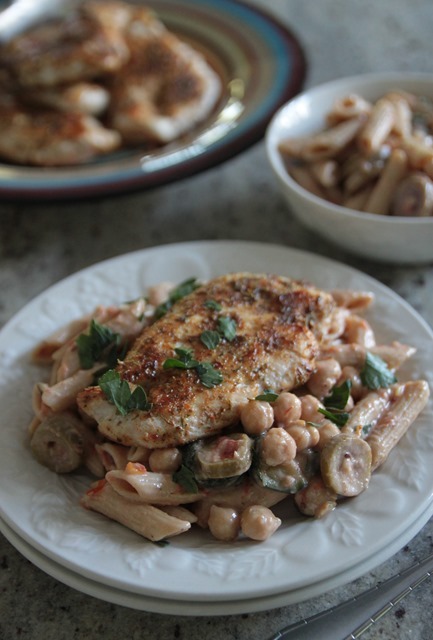 This zatar spiced chicken and pasta salad is packed with one of my favorite spice blends, zatar! Lamb and hummus go hand in hand, and with this red pepper hummus sauce, it’s bound to impress your guests. 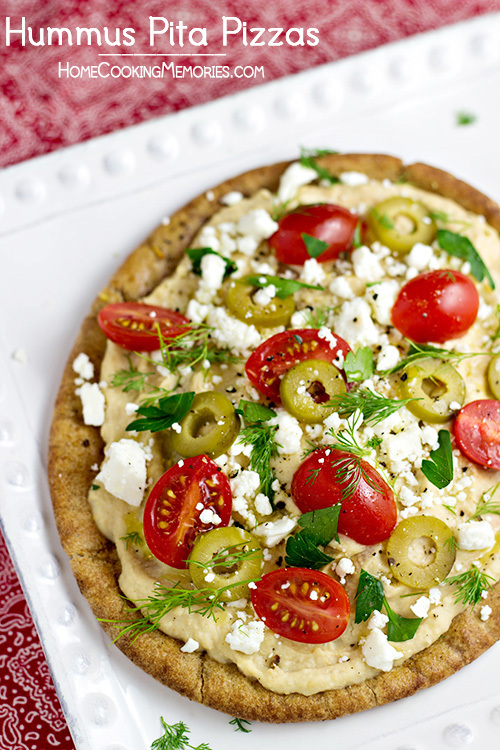 This hummus pizza would be the perfect dinner idea with a salad alongside it, or maybe slice it into small squares and use for a party appetizer? Both ways, it’d be delicious! 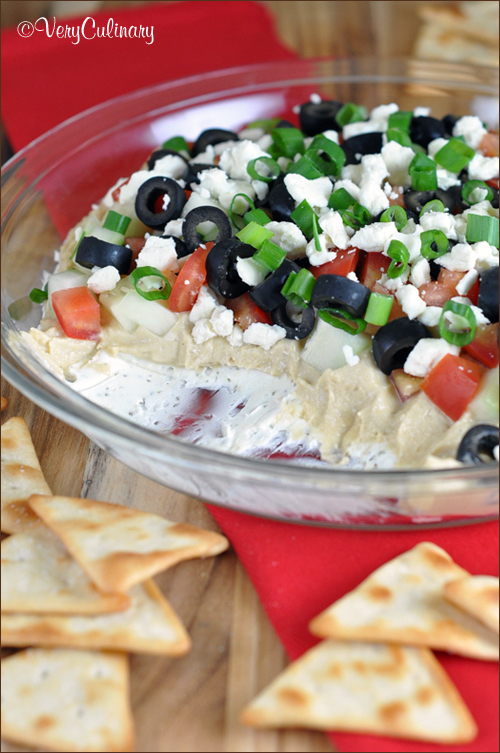 This layered Greek dip will be the life of your party and you can easily adapt it to what you have on hand – just don’t forget the hummus! 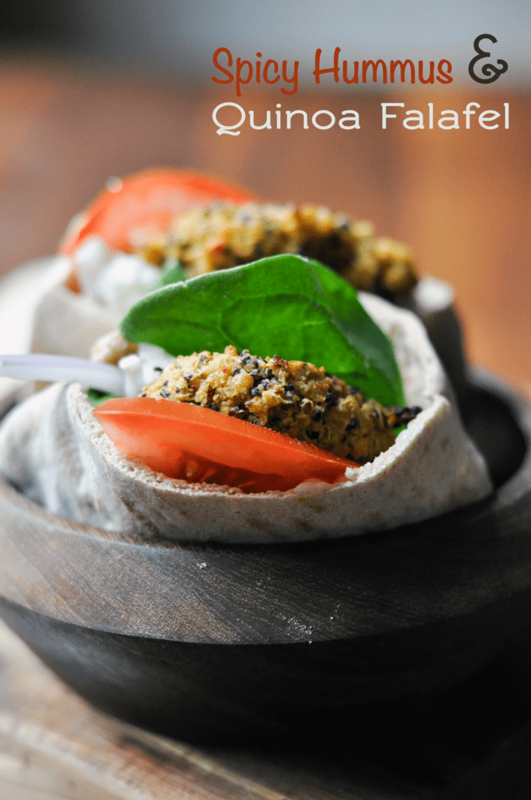 These hummus pitta pizzas would make a great afternoon snack or even an awesome breakfast idea! Avocado toast is one of those things that I love at any time of day, and this cucumber hummus avocado toast layers on loads of flavor. 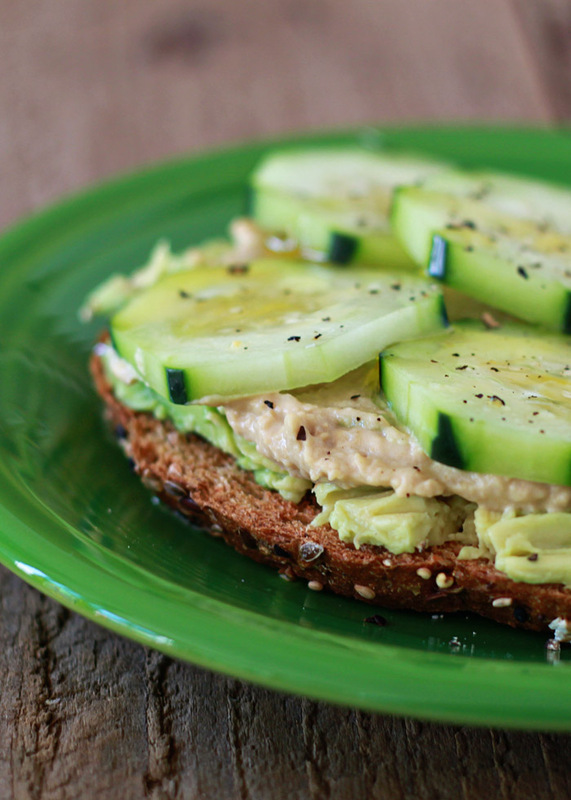 Using the best hummus you can find, plus refreshing cucumber for the perfect crunch! Quinoa falafel?! Sign me up! With only 3 ingredients, these Spicy Hummus and Quinoa falafel fritters are easy to make and less calories than the traditional fried falafel! This one is for the eggplant lovers – a red pepper hummus sandwich, made using eggplant instead of bread. 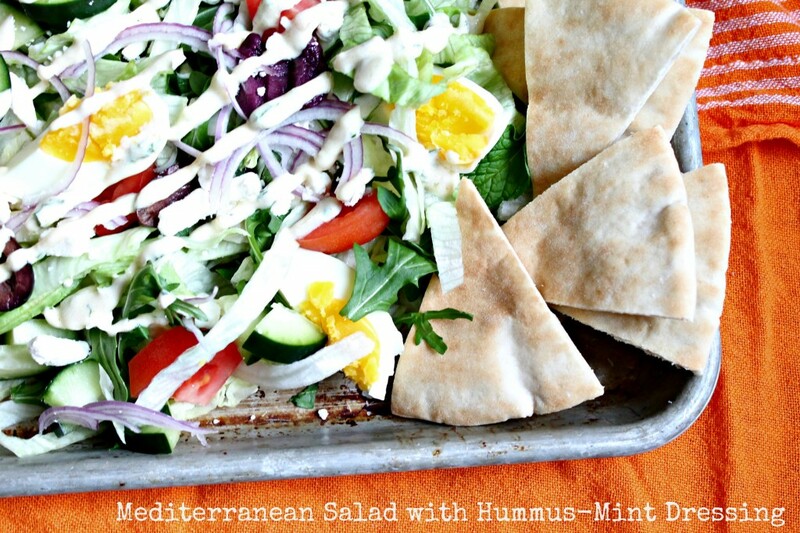 This is one of the best hummus recipes I’ve seen yet! 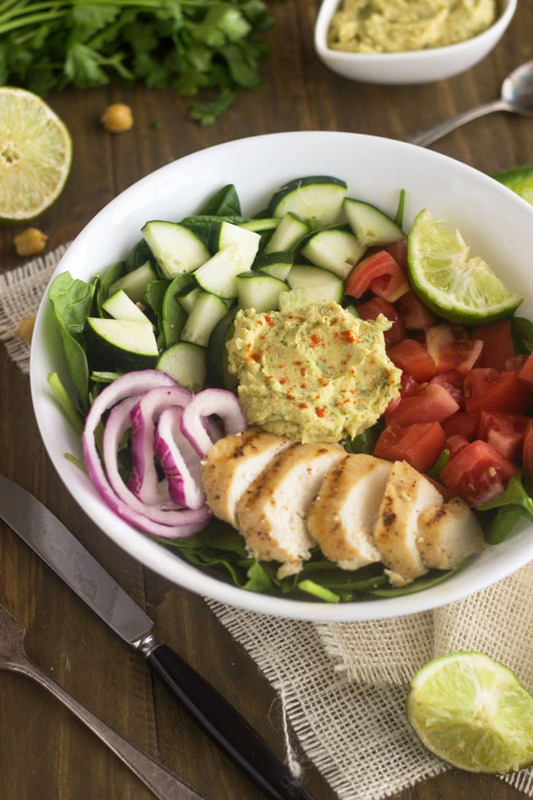 This is a total power salad – packed with chicken, hummus, fresh vegetables – perfect for spring produce! 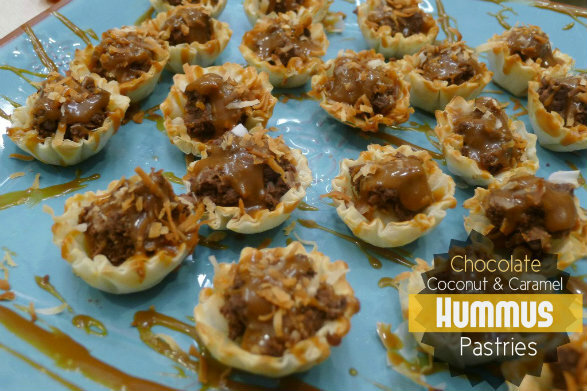 A hummus dessert?! Believe it or not, these are amazingly delicious! I think most Sabra Tastemakers get to taste them on the trip to the headquarters! I have not tried the one with the Asian Fusion, I am going to have to get that one. I have always liked making my own. I really like making it out of peanuts and black eyed peas! I am most excited to try the Chipotle Hummus. Yum! Thanks! I’m feeling brave… I’d love to try the Roasted Pine Nut hummus. They all sound delish. I love hummus. I don’t think I’ve ever tried one I didn’t like. Good luck, everyone!!! This would be a fantastic giveaway to win!!! Looking forward to the Basil & Pesto Hummus! The Spinach and Artichoke Hummus and Tuscan Garden Hummus sound delicious. The Tuscan Garden ine sounds amazing! I love the classic the best! I’ve tried many of the Sabra Hummus selections. I think the Jalapeno is my favorite! I can’t wait to try the Jalapeno!! I had no idea Sabra made this!! Amazing!! I am excited to try the Mango Peach. Sounds delicious! I Love the classic, but have been wanting to taste the chipotle! I would love to try the Chipotle Hummus! Sounds great!! we love the roasted red pepper hummus, would lovelovelove to try the Tahini hummus because I love sesame flavored things. But the Supremely Spicy and the Roasted Garlic are also at the top of my list because YUM!!! I believe I’ve tried very flavor except the Tuscan Garden; I have never even seen that variety but it sounds like i might be the best of all! I want to try the tuscan herb! Yum! It’s funny that I am actually eating some Sabra as I type, Roasted Red Pepper with a cut up pita. One flavor that strikes my curiosity is the Olive Tapenade. Supremely Spicy Hummus, love spicy and how could you pass on something Supreme. Spinach and artichoke hummus sounds quite good. Hummus is yummus! I love Sabra Hummus. It’s our favorite! If I could find Supremely Spicy – that’s the one I would try. I want to try the Roasted Garlic hummus. I love hummus, and Sabra is the best! 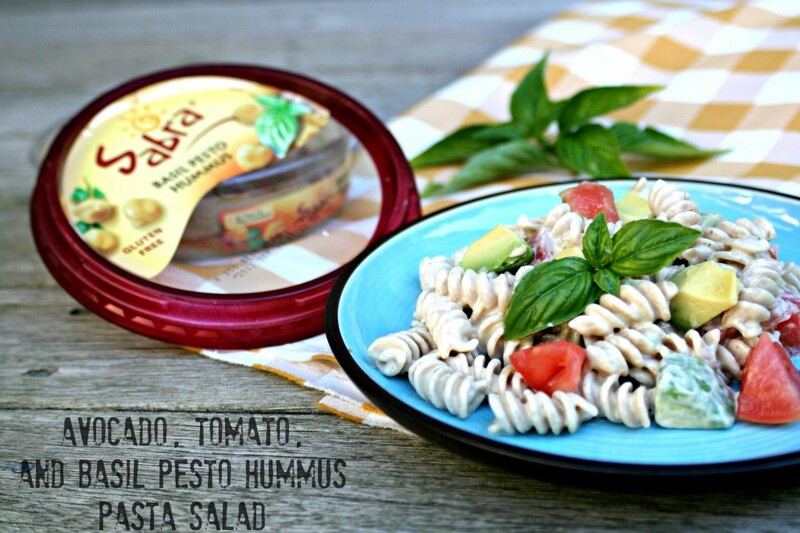 Supremely spicy is my family’s all time favorite but we’d love to try some other Sabra favors! 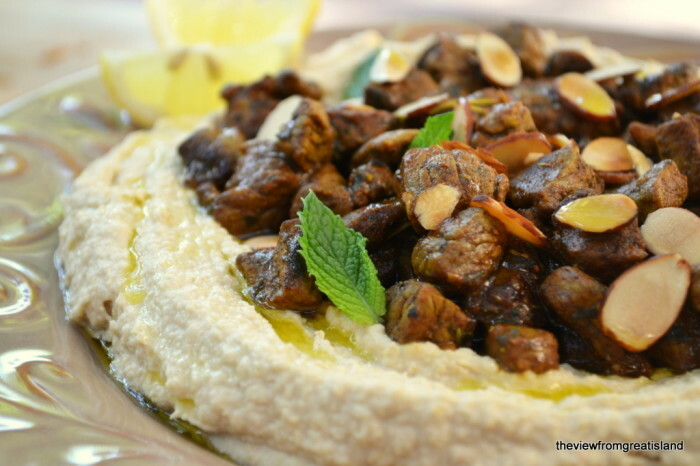 Roasted Pine Nut Hummus sounds really good, I’d love to give that a try! I can’t even stand how awesome Sabra hummus is! I could eat the eat the roasted red pepper variety by the crate full! I’d like to try the Roasted Garlic, Basil Pesto, and Supremely Spicy! I want to try the Roasted Garlic Hummus,that sounds delish! I would like to try the roasted hummus. I love Sabra!! I can’t wait to try the roasted garlic, yum! WE love Sabra hummus. 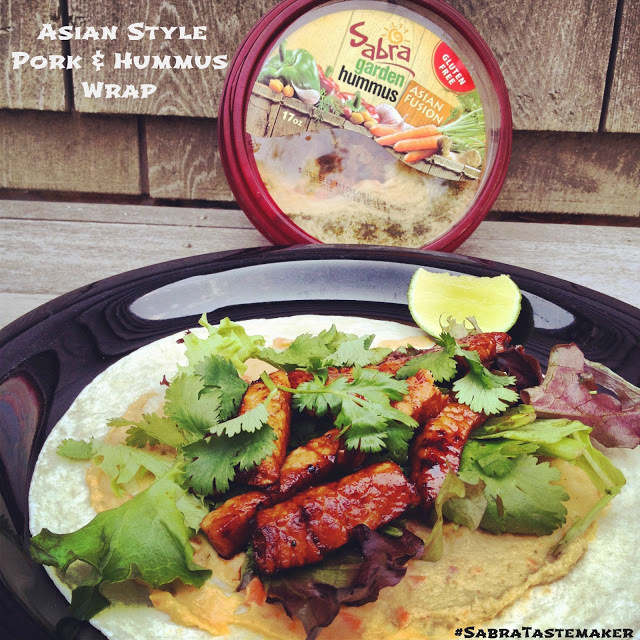 We try other brands, but always come back to Sabra and try to get others to try it too. Love the roasted red pepper and garden herb. want to try the others! Gimme, gimme, gimme! Thanks for including me, Marnely! This is one delicious looking post! I wanted to try all of these. 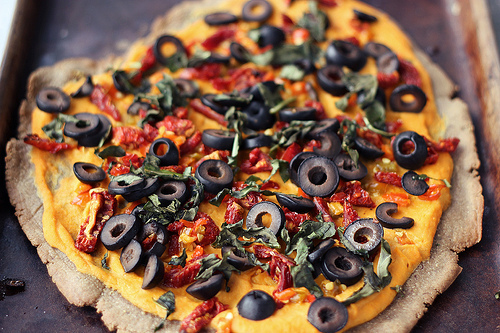 Thank you for including my Hummus Pita Pizzas! There are few flavors of Sabra I haven’t tried yet, but the one I want to try the most is the Spinach and Artichoke Hummus…I didn’t even know they had that flavor. 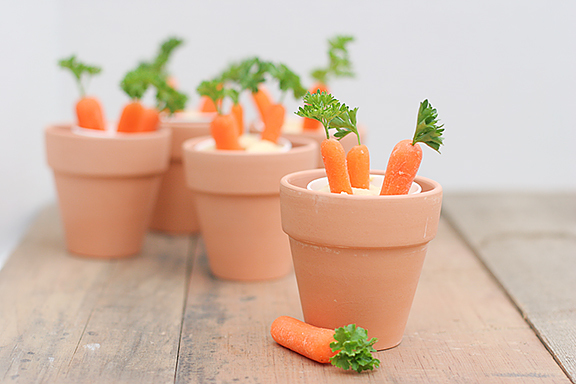 Thanks for including me, and I’m in love with those little carrot flowerpots! The basil pesto sounds amazing! Haven’t seen that one in our stores! So many good recipes! Thanks for sharing my Power Salad! Thanks for including me in this awesome round-up!